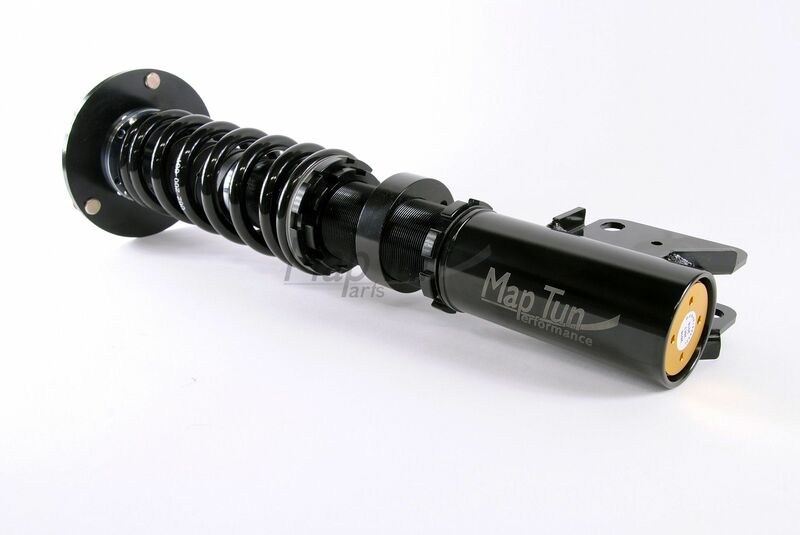 Maptun Performance can now present a newly developed, well-functioning coilover kit for Saab 9-3 XWD. Through a co-operation with the Swedish spring manufacturer Lesjöfors AB, a special rear spring has been manufactured to maintain the XWD system drive features. The 9-3 XWD cars is equipped with a self-propelled shock absorber system that keeps the level at the back unchanged regardless of load or weight. 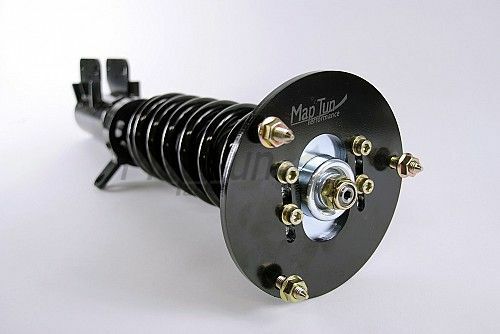 Unfortunately, this system is complex and proved to be of quite poor quality with leaky shock absorbers as a result, they are also very expensive. The self-leveling system is also not compatible with lowering springs, since the vehicle then loses it´s characteristics. 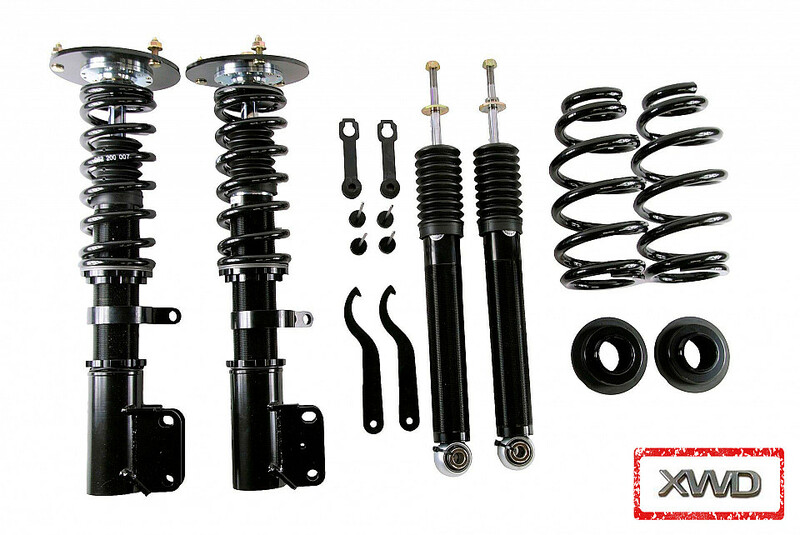 Our new Coilover Kit is designed to work for normal driving as well as tougher driving on track days, with a lower chassis height on the car than standard and adjustable stiffness of the shocks to match your driving style or preference. Below is some reference measurements for our new XT-Series Coilover XWD kit. When the spring is fully extracted the measurement is 44cm, which means the spring ecntesion is 8,5cm - 12,5cm. On this particular car, the Coilover kit lowers 5,5 cm at maximum at rear end and 1,5 cm as minimum. With the MacPherson front suspension system this coilover kit allows a lowering of up to 8cm. Summary: The possible lowering measurements is 1,5cm to 7,5cm on the rear end and 0cm to 8 cm on the front.